With so many Baby Plans and Pinterest posts out there these days, I get this question all the time from new and expecting parents: What ages/stages should we schedule milestone portraits at? 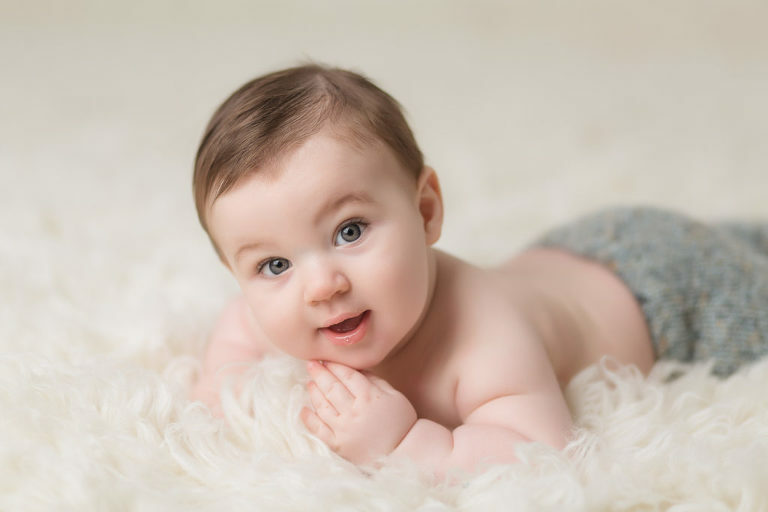 Documenting the 4 main stages in your baby’s first year is the best way to truly capture all the ages and milestones that your little one goes through. This is the best way to ensure you don’t miss anything , and also makes sure that you aren’t spending extra money and time photographing baby monthly if they haven’t changed all that much yet. The first age that should be documented is the NEWBORN. That typically is when baby is about 7-21 days old. They are still so brand new, so sleepy and snuggly. We can get those suuuuper squishy and adorable posed shots that everyone loves. This age is a can’t miss, and if there is one stage in baby’s first year that you absolutely should capture, it’s for sure this one. They will never be this small again, and do yourself a favor and have some images taken with YOU in them as well. I promise you that you won’t regret seeing how tiny they were in your arms. As your kids grow, they will love looking back and looking and pictures of you holding them when they were so little. The next age that is perfect for a milestone session is the TUMMY TIME stage. This is usually about 3-4 months, when babies are typically very smiley and interactive with their eye contact. They can’t yet sit on their own or crawl away, but they chew on their fingers, grab their toes, can hold their head up during tummy time, and much more. These are so much fun to document and always look back on. Their expressions and gummy grins make the perfect milestone images for this age. The next stage that is perfect for a milestone session is the SITTER stage. This is usually about 6-7 months old. Babies this age can sit independently and love to babble and laugh. Some are even crawling and rolling, which make for super fun sessions! 🙂 This age is one of my very favorites to capture. Babies are usually so happy and full of smiles, and love to be photographed. These sessions are usually full of singing and clapping, and of course lots of giggles! The final big milestone in baby’s first year is of course their ONE YEAR session! These sessions are usually when baby is about 11-12 months old, and little ones are usually standing, cruising, and some are even walking. These of course are such great milestones to capture and really show how much your little one has grown over the past year! Of course birthday cake smash sessions are also super fun! 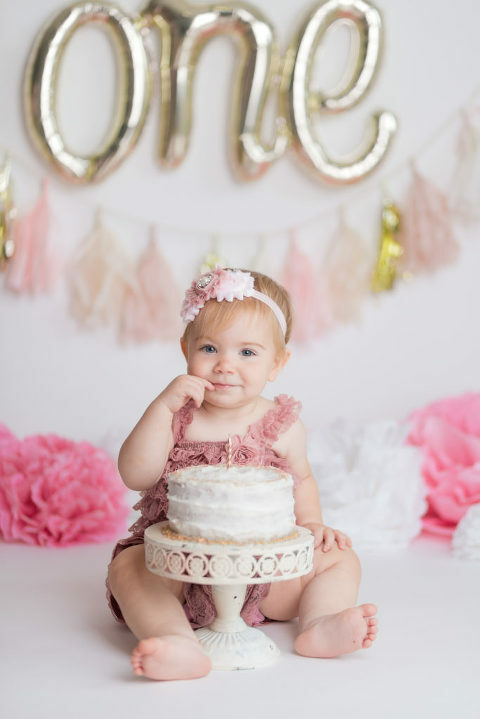 This is a great way to incorporate balloons, decorations, and a cute smash cake into the session. Watching baby dig into their cake for the first time is always adorable, especially when they get really into it and end up super messy! 🙂 This type of session makes a great ending to baby’s first year, and these images are perfect to use for their birthday party invitations or even to decorate baby’s first birthday party with! I offer several different Grow With Me packages to help you document your baby’s milestones and stages. All packages include a beautiful custom heirloom album with images from each of your sessions. Maternity sessions can also be added to these packages to complete your baby’s story. Interested in booking your baby’s sessions? Send me a quick note, and I’d love to chat with you more! 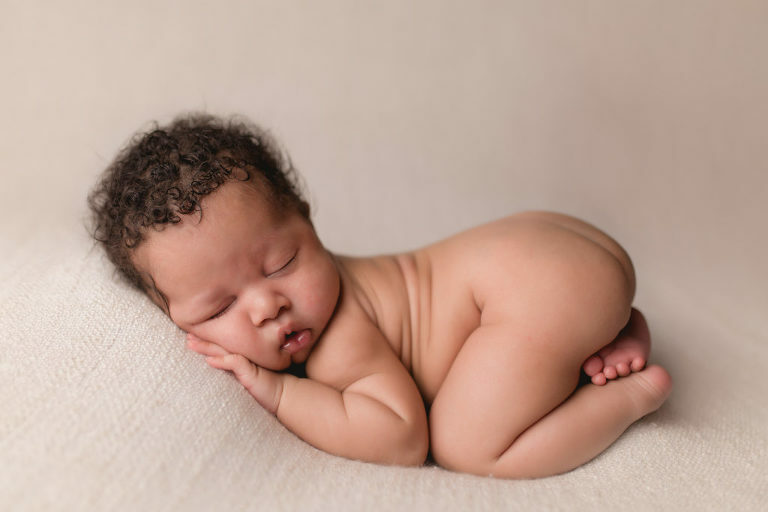 « When should you book your newborn portraits? All content copyright Simply Joyful Moments Photography ©2019|ProPhoto7 WordPress Theme|BY THE DESIGN SPACE Co.